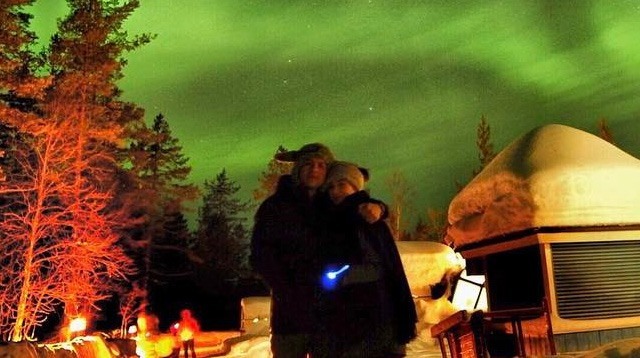 And of course, a trip to Finland wouldn't be complete without seeing the Northern Lights. 3 Sparks fly between Selena Gomez and The Weeknd as they spend some quality time in Italy. They both look so happy! 4 After 17 years of marriage and pure bliss, David and Victoria Beckham have renewed their vows. Unlike their big, lavish wedding in 1999, the Beckhams for a quiet and intimate celebration this time around; only six people attended! When asked about how they deal with issues, David explained, "Of course you make mistakes over the years, and we all know marriage is difficult at times, but it’s about working through it…Whenever we’ve come up against tough times, we know each other better than anyone knows us, so we talk."